 Comment in Ep. ad Gal. c.ii. edit. Wittemberg, Opp. t.v. p. 290. T.iii. in Ps. xlv. p.425. Upon checking the source I discovered that it wasn't simply one quote, but three strewn together in the typical Roman Catholic polemical style that has so characterized their treatment of Luther throughout the centuries (I added in the footnotes above from Bégin's book). While the Cardinal claims an attempt to avoid "partiality," any writer that simply throws a bunch of quotes together without a context or historical background is indeed being "partial." Notice in the first quote (the letter), Luther is presented as a behind-the-scenes liar. In the second quote, Luther characterizes the life and teachings of the apostle Peter as contrary to the Word of God. In the third quote, Luther says all of the words of Moses amount to idolatry. In one short paragraph, the impartial Cardinal has presented the lying, apostle-slandering, law despising Martin Luther. Elsewhere in the book Bégin says Luther was "a real chameleon" in doctrine and modified his opinions day to day (pp. 49-50). Given Bégin's overall treatment of Luther, I would posit he hadn't actually read much Luther but relied on the opinions and citations of secondary sources like this one. The sincerity of Luther is well described in this confidential letter to his friend Melancthon, August 30th, 1530: 'When once we have nothing more to fear, when we shall be left in peace, then will be the time to rectify our deceits, lies, and errors. Other than mentioning that the first quote is a letter, it goes undocumented by Bégin. Yes, this quote is from a letter to Melanchthon, but probably not from August 30, but rather August 28. During this time period, Lutheran leaders had been summoned by the emperor to Augsburg in an attempt to unify the Holy Roman Empire. For this meeting, Melanchthon attended and had a crucial role in putting together a statement of Lutheran theology known as the Augsburg Confession. Luther did not attend, so written correspondence between the two was the means by which they communicated. Multiple letters were exchanged during this period. In their correspondence, it becomes apparent that Luther was concerned that Melanchthon not concede more than is needed to the "papists" (for example, see Luther's letter from June 29, 1530). Luther had serious concerns and disagreements with how Melanchthon was representing the Protestant cause, and in some instances criticizes Melanchthon (see LW 49:32). Behind the scenes, Melanchthon and Luther had agreements and disagreements over the unity sought for with the papists (For an overview of these conflicts between Luther and Melanchthon, see Brecht, Shaping and Defining the Reformation 1521-1532, pp. 387 - 446). The bolded text has been translated into English a few different ways (The quote as cited by Louis Nazaire Bégin was originally translated into French, and then into English by a translator of Bégin). See the way Roman historian Hartmann Grisar's version has been translated here. See the way Roman historian Johannes Janssen's version has been translated here. Also note Denifle's comments here. These Roman polemicists see this quote from Luther as an admission that Luther was fundamentally a liar and deceiver. There is a crucial variant in the sentence (interestingly noted by these old Roman apologists). 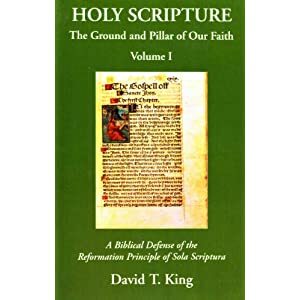 They point out that only in some manuscripts do the words "et mendacia" (and lies) come after the word "dolos"(schemes), Grisar says "in the oldest Protestant editions." Other writers, particularly Roman Catholic writers, mention only that these words are missing in some manuscripts, not mentioning it being the oldest editions as Grisar posits. Denifle makes the comment that "et mendacia" is unnecessary because Dolos "suffices perfectly and expresses more." I'm not aware of any contemporary textual studies in English on this sentence. If it's included in one of the upcoming volumes of LW, they'll probably investigate this variant. Because of the negotiations, Melanchthon had again become involved in a considerable contradiction to Luther's views, which Luther clearly recognized. This time Luther reacted thoughtfully, objectively, and prudently. What had to be done was to break free from the formulations of those of the opposing side, which they were really using only to advance their own standpoints, and simply to give God and the emperor their due. They would have to prove that their views were supported by God's Word. Luther knew that inadmissible concessions could open the evangelicals to the charge of unfaithfulness and vacillation. He took this surprisingly calmly. Even if it had already come to pass, it could be corrected, and therefore there was no reason to despair. If an armed conflict were avoided and peace preserved, they could later for the sake of the mercy of Christ "easily put out tricks, lies, and mistakes in order." Naturally, this was not meant as a licence for unscrupulous negotiating tactics, as was later alleged. Rather, Luther was forgiving the great mistakes Melanchthon had probably already committed, and he was refraining from criticizing them personally. (Shaping and Defining the Reformation 1521-1532, pp. 422-423). 'Peter,' he says elsewhere, 'the greatest of the Apostles, lived and taught contrarily to the Word of God. [Comment in Ep. ad Gal. c.ii. edit. Wittemberg, Opp. t.v. p. 290]. Peter, the prince of the apostles, lived and taught contrary to the Word of God. Therefore he was in error. And because he was at fault, Paul “opposed him to the face” (Gal. 2:11), attacking him because he was not in conformity with the truth of the Gospel. Here you see that Peter the most holy apostle, erred. Thus I will not listen to the church or the fathers or the apostles unless they bring and teach the pure Word of God. [Luther, M. (1999, c1963). Vol. 26: Luther's works, vol. 26 : Lectures on Galatians, 1535, Chapters 1-4 (J. J. Pelikan, H. C. Oswald and H. T. Lehmann, Ed.). Luther's Works (26:67). Saint Louis: Concordia Publishing House]. 'Moses, he says, had a tongue, but a hesitating tongue, which stammered—a tongue of death, of anger, and of sin. Collect all the words of wisdom of Moses, of the gentile philosophers, and you will find that they only express idolatry or hypocrisy. [ T.iii. in Ps. xlv. p.425]. This is the most distinctive reason for praising kings—in kingdoms of the world, too—if a person can commend their wisdom. For experienced men have declared that matters can be settled better by wisdom and judgment than by force of might and weapons, in fact, that might and weapons are even injurious if they are not supported by good counsel. If we consider ourselves, what are we human beings in comparison with lions, bears, or horses? One horse, if it knew how to use its strength, could throw a hundred men to the ground. So also, if a hog wished or knew how to use its strength, it could kill ten butchers. In fact, even lifeless things like wood and bricks far outdo men. If a tower falls in ruin, it crushes a huge crowd of people. For they surpass man in strength. But since man has understanding, he rules all these things, and we see four-year-old boys drive draft animals. Thus the enormous strength of beasts is ruled and, as it were, taken captive by a weaker power. It was on account of this that the Romans, too, said that matters would be determined by wisdom and judgment and not by fortune; moreover, that great numbers contributed nothing to victory if prudence were lacking; and that if foolishness prevailed, the great mob would be brought together only to be executed. Witnesses to these things are Flaminius, Varro, Minucius, and many others.﻿﻿ Wisdom is, therefore, the foremost quality and gift required of a king. For this reason Moses said (Deut. 4:6) that the heathen would be amazed by this one virtue: “Surely this great nation is a wise and understanding people.” And Solomon is commended in Sacred Scripture not so much for his riches but for his wisdom; for this is the highest praise. So here, too, after describing His person and unequaled beauty, the psalm demands the same sort of wisdom that He possessed. This is the wisdom of grace poured upon His lips. It seems that Luke (4:20) was looking back at this verse when he said that as Christ was teaching, all eyes were fixed on Him because of the gracious Word (v. 22) which the good will of his hearers occasioned in Him; he said “they were amazed” at His doctrine. He glances here at Moses, too, who also had lips, but thick, ineloquent, heavy, wrathful ones, on which there was no gracious Word, but words of anger, death, and sin. Gather together all the wisdom of Moses, the heathen, and the philosophers, and you will find that in God’s sight they are either idolatry or a false wisdom or, in civil government, a wisdom of wrath. Only the beauty of this King, Christ, is beauty. So only His wisdom is wisdom, for it is the wisdom of grace, that is, of promise; and His Word is sweet, full of consolation and trust. Thus the poet has diligently read the prophecies and promises regarding Christ and has seen that His lips are the sweetest and loveliest lips, which attract the hearts of all the weak. So Christ should not be depicted with gall or a sword in His mouth, as they always portray Him, unless it is to be understood spiritually. He should be depicted in such a way that His lips seem to be pure sugar or honey. Whoever depicts His mouth otherwise errs, and we should rather listen to this poet than to the papists and Satan, the authors of this horrible picture. For this poet will not deceive us when he ascribes to Christ the loveliest mouth. This must be noted carefully. For Christ should not make hearts sad with His words, He ought not to terrify. Whoever terrifies and vexes consciences in Christ’s name is not a messenger of Christ but of the devil, for Christ’s name is: “A bruised reed He will not break, and a dimly burning wick He will not quench.” He is gentle: “He will not cry or lift up His voice or make it heard in the street” (Is. 42:3, 2). He is not rough, severe, biting like Moses, who looks like the very devil and speaks in a way that our heart almost vanishes before him. For he has lips overflowing with gall and wrath, that have been embittered with laurel and gall, in fact, with hellish fire. So away forever with Moses! But our King has pleasant lips; that is, His Word is the Word of the remission of sins and of comfort for the lowly, the Word of life and salvation to recall the damned and dying. Neither does he call them simply “gracious” lips, but lips “overflowing with grace,” in order to point out that Christ is superabundant in His lips. From His mouth, as from some overflowing fountain, the richest promises and teachings stem, and with these He strengthens and comforts souls. So the things you hear daily about this Christ are what the poet depicts, as you see, however briefly, yet with distinctive words and the loveliest poetry: Grace is on the lips of this King, and not only that, it overflows, so that you may understand how abundantly this fountain of grace flows and gushes forth. Luther, M. (1999, c1955). Vol. 12: Luther's Works, vol. 12 : Selected Psalms I (J. J. Pelikan, H. C. Oswald and H. T. Lehmann, Ed.). Luther's Works (12:209). Saint Louis: Concordia Publishing House]. Luther And The Law: Did Martin Luther Abhor God's Law? (Part One)- A look at four Luther quotes used by Roman Catholics to prove Luther hatred God's Law. The quotes are given contexts and explanations to prove mis-usage by Roman Catholics. Luther And The Law: Did Martin Luther Abhor God's Law? (Part Two)- A look at Luther's understanding of the Law and its place in the Christian life. 4. "We must remove the Decalogue out of sight and heart"